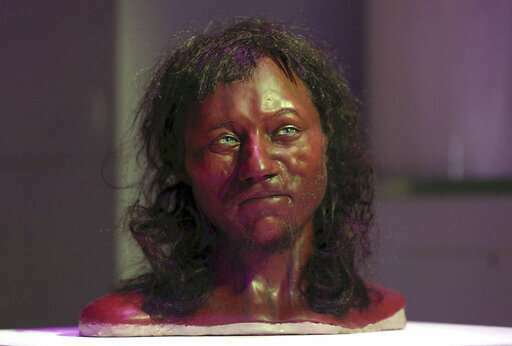 Whereas Britain's outgoing hunter-gatherers—including the oldest known Briton, "Cheddar Man"—likely had blue or green eyes and dark or even black skin, the farming populations migrating across Europe are believed to have had brown eyes and dark to intermediate skin. I would consider it most probable that the original population of H-G's after the last Ice Age. Were very small groups pf pioneers. Who crossed temporarily dry land between Europe & Britain. Close on the heels of the retreating glaciers. There would not have been any useful sized trees for rafts or dugouts. So those who made it across before the land submerged? Would have been trapped on Barrens, cut off from their main population. Thin soil meant few game animals, spreading out to forage. Which disperses the H-Gs in small family packs. I doubt if they went anywhere. Where was there to go? No wonder the immigrants didn't want to interbreed with them. Ignoring the needy, is as much an act of violence as attacking them. Similar as happened to the last few generations of the Norse Greenland colony.